Speaking at the Rio+20 UN Conference on Sustainable Development in Rio de Janeiro, Russian Prime Minister Dmitry Medvedev declared importance of ensuring consistency of the energy policy of the world leading countries and proposed to come back to Russia's initiatives on energy security at the UN. The Russian Prime Minister said to Rio +20 participants: "We consider it critically important to ensure consistency of the energy policy of the world leading countries. Russia, of course, has special responsibility, because it is the largest supplier of energy resources. Only this will allow achieving an optimal combination of energy sources used on the global scale. It would be possible to come back to Russia's initiatives on energy security at the United Nations." It was not clear from Medvedev’s speech, what specific energy initiatives he meant - whether the introduction of energy efficiency programs in industry, which will allow to reduce the country's energy consumption by more than 4 % per year, or the initiative "on agreed actions to achieve optimal combination of all sources of energy on a global scale" by itself. Judging from the speech of the Prime Minister, the main reason for the pride of Russia on the principles of sustainable development over the past 20 years are primarily social indicators: the progress in fighting poverty, rising living standards and education level, reducing infant and maternal mortality. Nine proposals announced in Rio by the Prime Minister of Russia left mixed feelings. On the one hand, Medvedev spoke about the need for a new development paradigm: "Society, economy and nature are inseparable. Therefore, we need a new development paradigm which is capable of ensuring the welfare of society without excessive pressure on nature. At the same time, innovative growth and growth of energy-efficient, the so-called "green" economy is needed, which is definitely beneficial to all countries." Positive is the fact that the Prime Minister confirmed the intention to keep emissions at 25 % below 1990 levels. 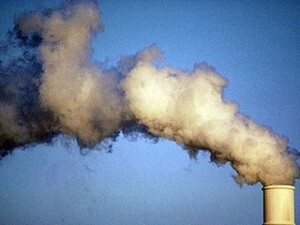 Thus, Medvedev said, Russia will fulfil its commitments taken within the Kyoto Protocol. One can only support Medvedev’s general statements. Indeed, countries shall determine the conditions and mechanisms for regulation of their own greenhouse gas emissions by themselves, based on their own interests, taking into account the international climate policy and changing global development paradigm. However, the goal of minus 25 %, first put forward by Medvedev in 2009, cannot be called ambitious, because it is not a reduction for Russia, which requires effort and action, as has been pointed out by representatives of environmental NGOs. In addition, during the three years of “the course to reduce emissions," no mechanism to ensure these commitments have been developed in Russia. It remained unclear, what did Medvedev mean by "best combination of all energy sources on a global scale" in the context of the statement. If it meant Russia's orientation on exports of mineral oil, gas and promoting dangerous nuclear power plants, the proposal cannot find approval from ecologists. The phrases about "protectionism" and "bureaucratization" of the green economy brought no optimism either. The conclusion arises that the Russian authorities see the active green growth of a number of countries as display of bad will and machinations of intent to destroy economies of other countries. Environmentalists criticize this position of the Russian leadership. Eugene Schwartz, the director of WWF Russia environmental policies, has named this in an interview with "Kommersant" as international cynicism, when, from the perspective of the Russian Federation, "global problems shall always be addressed by someone else." According to representatives of environmental NGOs, the truly green development based on reduction of energy consumption, on renewable energy and other environmentally friendly technologies shall become the new development paradigm.